Powerex now offers our signature Integra Area Alarm and Zone Valve Box with LCD touch screens in our new Med Touch Series. Save wall space by combining the Area Alarm and the Zone Valve Box! 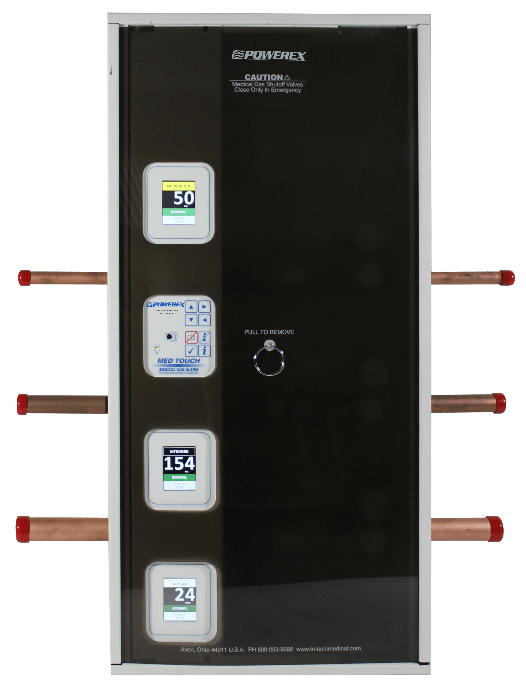 The Integra product family streamlines design, installation, use, and service by combining the zone valve box and the area alarm into a single integrated panel. The Integra panel accommodates up to 7 gases vertically arranged in pipe sizes of ½” to 2”. Transducers are located within the box for easy testing. Available with optional EZ Backfeed™.